This week on the blog we focus on the brand of Under Armour. We talk about their rise as a brand, their sponsors, and of course how much they are worth. Almost a year ago, Under Armour had little to no presence on the golf course, however, we have seen first hand how quickly that has changed. With high flying hot rod Jordan Spieth, Under Armour has drastically increased the calibre of player the brand can attract. 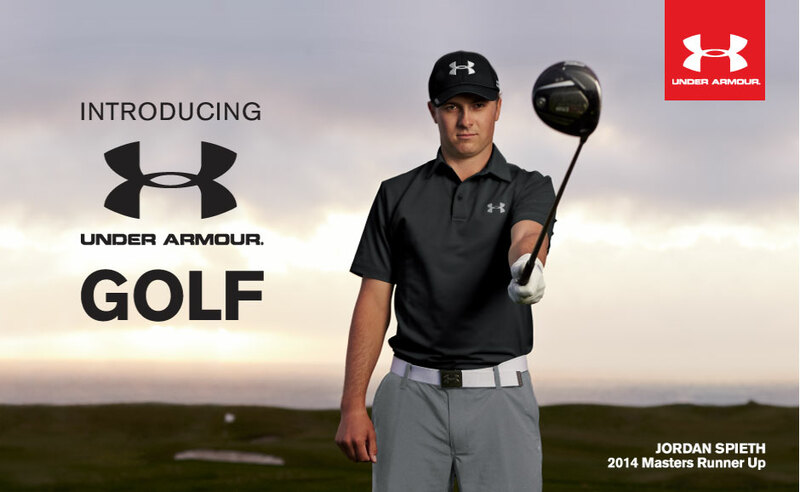 With the rise of Jordan Spieth, came the rise of Under Armour. With Under Armour being his official sponsor until he turns 29 (8 years from now) the only way is up for both the brand and the player. Under Armour has a unique sponsoring technique in sponsoring, they like to go for the young ‘underdogs’. This has certainly paid off for the brand with recent success in Misty Copeland, Steph Curry, and of course Jordan Spieth. So how much is the brand worth compared to other sport giants? Well, from Spieths first major win, the brands stock value was $90 from a then $85. They have also predicted a rise in golf sales, conveniently they think the golf brand will increase from the current $200 million to double at $400 million. The company is making huge strides, last year they announced they had overtaken Adidas to become the 2nd largest sporting good company in the US, behind Nike. This suits Under Armour however, allowing them to keep their ‘underdog’ appearance. While Under Armour isn’t the most popular on the course, their popularity certainly has risen and will continue to rise. We certainly love Under Armour, especially their athletes! This entry was posted in Uncategorized and tagged Under Armour. Bookmark the permalink.